The process of clipping hair is simple to follow when you use the Oster Fast Feed pivot motor clipper. The clipper moves through hair quickly and includes a quiet motor that is easy to utilize. 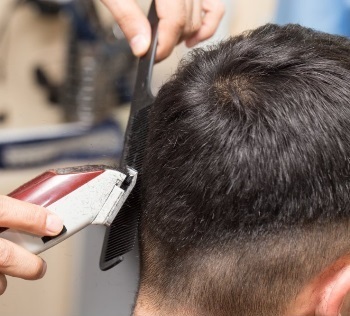 The trimmer will keep noise levels down and ensure you can get through anyone’s hair in moments. 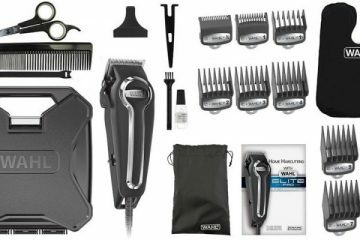 You are bound to find something to love with the Oster Fast Feed whether you are a professional barber or you are a parent looking to give haircuts in your home. This trimmer comes from Oster, a company that has been at the forefront of personal care technology for nearly a century. This model is a part of the Heritage Series, a line of clippers from Oster that is inspired by some of the earliest products the company made when it was founded in 1924. The critical point about this trimmer is that the body features a comfortable surface that is easy to grip and a powerful motor. The design produces a firm cut that moves through all kinds of hair, including wet hair. The process for using this and the effort you can put into oiling and maintaining the trimmer adds a nice touch as well. Let’s start this Oster Fast Feed review by looking at the design of the clipper. The body features a burgundy red tone with a black accent. But the control features on the clipper make the layout more useful. The power control is on the side of the clipper. Flip the panel up and down to activate or turn off the power. The blade lever near the top adds a simple approach for adjusting the blade. The practical design makes it easier for you to switch from one setting to another in moments. The most noteworthy part of the Fast Feed clipper entails its motor. The hair cutter uses a pivot motor. The blade speed is slightly less than what you would get out of a magnetic motor. But the additional electromagnet included produces twice the cutting power over that older magnetic unit. The added power makes it easier for you to cut through even the most stubborn bits of hair. 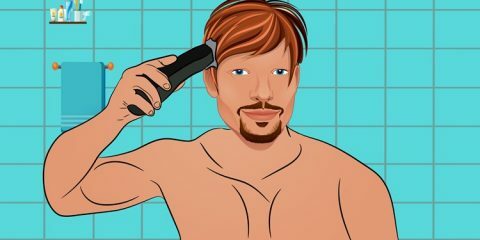 You can also use the trimmer to cut through wet hair. The design makes it easier for you to style hair and to secure longer bits of hair with water or a styling hold item before cutting it with the Fast Feed clipper. The motor is also housed within a secure and insulated body. The Whisper Quiet motor is kept protected and safe without producing any annoyingly loud noises. The design also ensures the trimmer will not vibrate and be challenging to hold onto while in use. 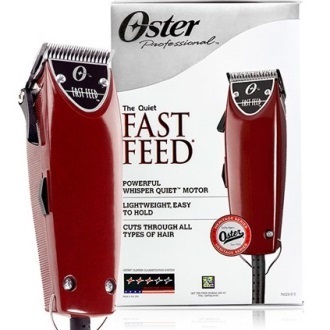 The adjustable blade feature on the Oster Fast Feed clipper helps you control how deep the cut will be. You can switch the blade from a 000 setting to a 1 setup. 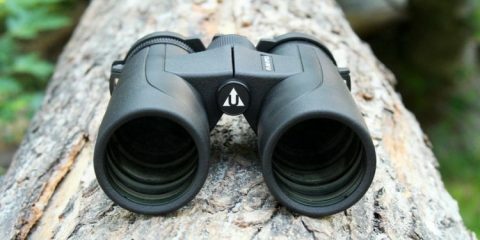 The 000 configuration features a ¼-inch or 0.5mm size. The 1 blade uses a 1/5.8-inch or 2.4mm layout. The 000 blade is suitable for closer trims. The 1 setting works best when you’re aiming to clear out more hair at a time. These are two of the more commonly utilized settings that professional hair stylists incorporate into their work. You can use either choice for your cutting needs without delay. The lever at the top makes it easy for you to go from the 000 to 1 blades. The smooth motion from one setting to the next gives you more control over the cutting process. The blade also locks into its place after you adjust the lever. Don’t forget about the guard that comes with the trimmer. The guard produces a solid cover that keeps the blades from being exposed when not in use. Remove the blade guard before use. The guard is contoured to fit the blades. Add lubricating oil to the blades. Use a dry cloth to wipe off any excess oil on the clipper. 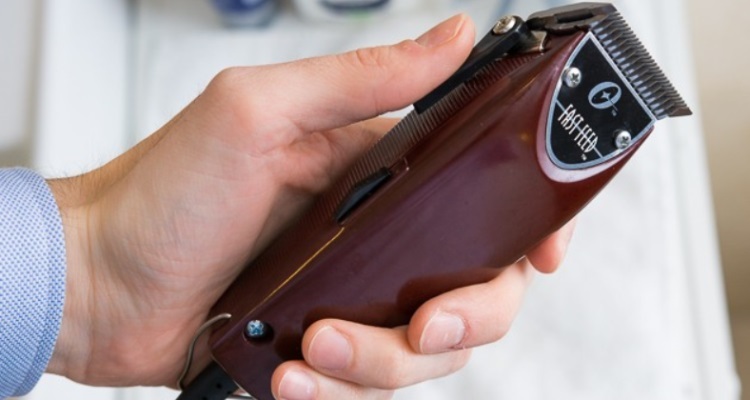 Use the clipper for cutting or trimming hair as necessary. You can add the guide combs as needed. Use a cleaning brush to clean off the clippings from the brush surface. The clipper comes with its own brush. Wipe off the housing with a clean and dry cloth. You can dip the teeth into a blade wash solution if you need to clean off the trimmer. The clipper must be running as you wash off the teeth in that solution. Do not immerse the entire clipper or else the unit might break apart. Don’t forget to wipe the blades off when you are done cleaning them. Add a few drops of lubricating oil on the blades. The oil will prevent the blades from rusting. Again, wipe off any oil that drips onto the body of the clipper. 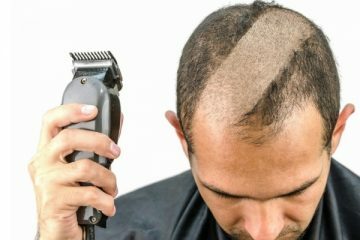 The duration of the process varies based on how intense the hair you are cutting is and how much has to be cut at the time. It should not take long to clean out and maintain the clipper. The design gives you full control over the maintenance process. 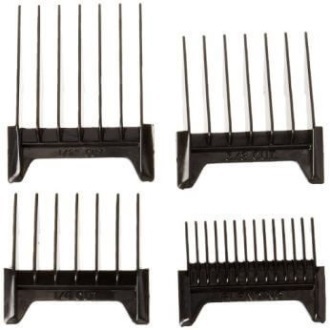 How Do the Guide Combs Work? The Oster Fast Feed clipper comes with four guide combs for your convenience. These combs are organized by lengths to help you keep the hair you are cutting from being too difficult to hold or control. A blending comb is designed with fades and trims in mind. The attachment is the shortest of the four combs. A ¼-inch comb works for short-length hair. A 3/8-inch piece is suitable for mid-level hair. A ½-inch cut can be produced for the longest cuts or for cases where tough spots are prevalent. Each comb can be added to the base of the trimmer in a few moments. The comb will secure itself well on the base, but you must ensure the comb stays against the lower blade. Each of these combs is built with plastic materials. The plastic body adds a comfortable surface, but you should still be careful with getting the attachment affixed to the surface. You cannot afford to forget about the power cord. Fortunately, the Fast Feed uses an eight-foot power cord to make it easier for you to control the clipper. The cable will not bunch up or get into knots. The line is also flexible so you will be able to position the unit in many directions without worry. What About Replacing the Blades? You can replace the blades by using a screwdriver to remove the two screws keeping the blade setup intact. The screws secure these parts in moments to keep the blades from being loose. You can find new blades for the clipper through Oster’s website or any authorized Oster products dealer. Oster has Service Centers around the country to help you with getting replacement blades; a full listing can be found on the Oster website. The blades are aligned well to produce a firm body that is easy to support. These blades will move evenly through hair in moments. The motor is powerful enough to go through many tough hair spots, and even then the motor will not wear out or slow down. The lack of vibrations along the outside body is a huge plus. The simple mechanisms involved add a nice touch. It takes a moment to turn the device on or to adjust the blade. The physical body has a good grip that works on either hand. It is not too hard to position the clipper in the appropriate angle or position either. It is tough at times to add oil to the blades. Although the oil works rather well for keeping the clipper lubricated, you have to watch for how well the surface works. It does not take long for the clipper to collect lots of hair. The clipper has to be cleaned out regularly for this to work. Sometimes it has to be cleaned midway through a cutting task. The lack of blade options is not all that exciting. It would be best to have multiple settings. The guide combs at least are diverse in length. If there is one thing that you should have learned from this Oster Fast Feed review, this clipper is very easy to use and effective. The clipper provides you with a simple design for adjusting blade and keeping an even cut. You won’t struggle with maintaining the setup either. 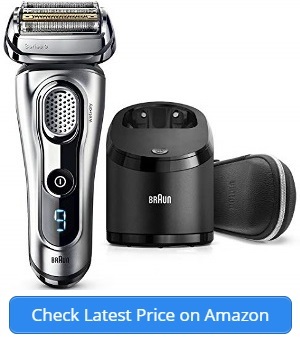 If you’re looking for a high quality hair clipper, this should be at the top of your list. You will be impressed with what makes this set so useful and easy to work with.